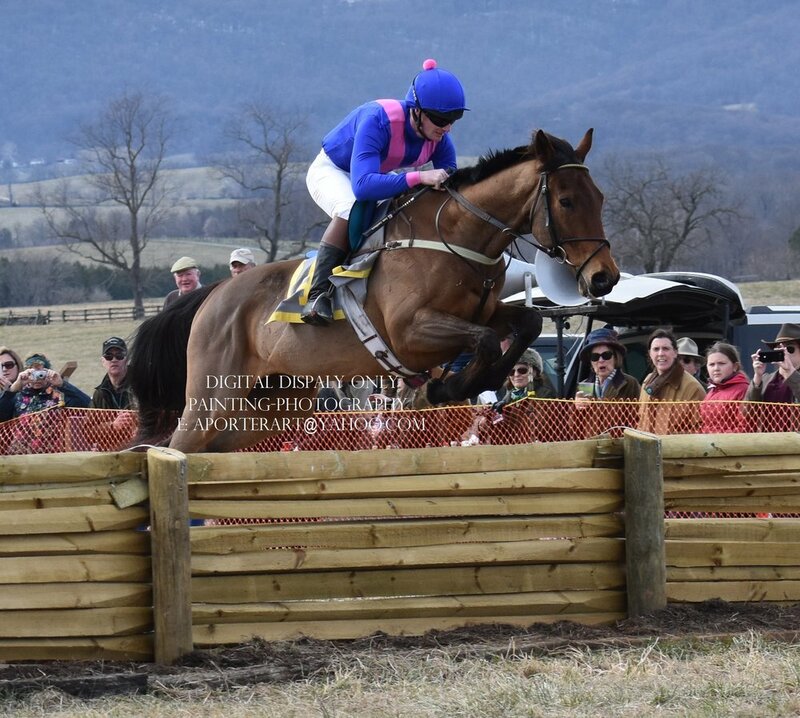 Sam Cockburn at the Piedmont Foxhounds Point to Point, March 2018. Photo by Alice Porter. The SSCF's next Race Assessment & Clinic will be held on Friday, Jan. 25, 2019, 12:00-2:00 PM, in Middleburg, VA. The clinic will be taught by Sam Cockburn. Sam is from a multi-generation family of steeplechase owners, riders, and trainers, and is a very experienced race rider. All attendees will work on proper racing technique, including starting, pace, riding upside another horse, utilizing your turns, safe jumping (for those in the jumping group), and more! All riders are required to use an ASTM/SEI approved helmet, protective vest, and racing overgirth (no exceptions), and sign all necessary liability waivers. Riders may qualify to race on the flat or over fences. If you plan to attend, please fill out the form below. We will start PROMPTLY at 12 PM noon -- please be mounted and ready to ride! Directions to the location will be emailed to you with your registration confirmation. All horses and riders must be current 2019 SSCF members to participate.